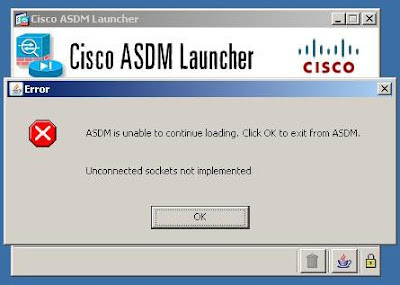 “ASDM is unable to continue loading, Click OK to exit from ASDM. It is weird, because I did the same settings before (in the same virtual machine), and it was no problem at all, what cause this problem? The only thing I did to this virtual machine was I just upgrade the Java version to “Java™ 6 Update 11”, I begun to doubt the incompatible of new Java and ASDM, so I just uninstalled “Java 6 Update 11”, and installed the old “Java 6 Update 7” (the version I used before), and it works. I finally got the ASDM management interface. 2. 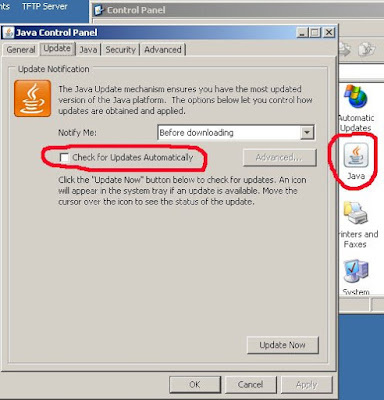 Uninstall “Java 6 Update 11”.